cPanel is the No.1 choice for web administration cPanel and Web Host Manager (WHM) is the number 1 choice for dedicated server & VPS web hosting administration. With tools to keep your server secure, provision customer accounts, transfer accounts from server to server, deploy applications (blogs, cms, etc) and much more. 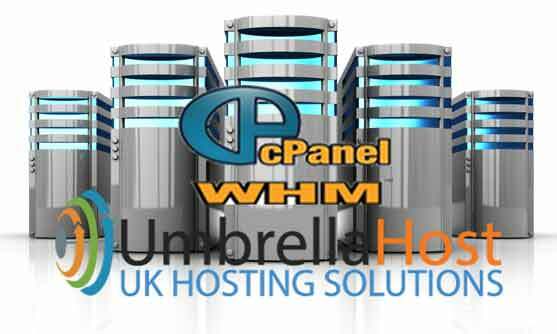 cPanel and WebHost Manager (WHM) are the perfect combination for a fully featured dedicated server and hosting control panel. Manage an unlimited number of domains per Server with cPanel with a fully featured domain owner interfaces. 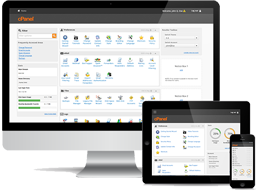 cPanel hosting provides users with an easy to use and powerful set of tools that let you manage all the functions of your dedicated server quickly and easily. Extra features for all cPanel dedicated server administrators include free multi-language support, free virus scanner and free game servers.